The city of Norfolk is home to Old Dominion University, Norfolk State University, Eastern Virginia Medical College and Tidewater Community College. 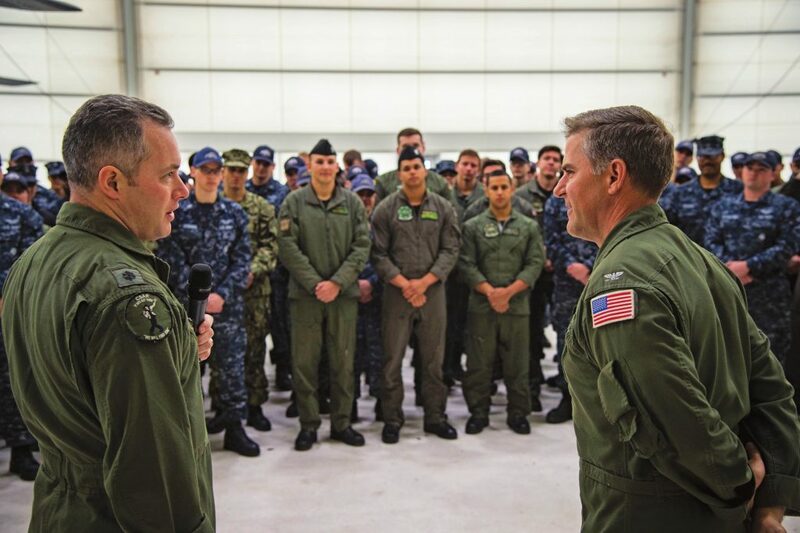 Additionally, there are a number of schools offering programs onboard Naval Station Norfolk and other Naval Installations in the Hampton Roads area. The following schools currently offer programs onboard Naval Station Norfolk: ECPI University, Embry-Riddle Aeronautical University, Norfolk State University, Old Dominion University, Saint Leo University and Tidewater Community College. The Navy College Office (NCO) at Naval Station Norfolk is located at 1680 Gilbert Street (Building IE, Concord Hall), on the corner of Gilbert Street and Bacon Avenue. Customer Service hours are Mon-Fri – 0830-1600. For more information, call 444-7453/7454 or send an email to nco.norfolk@navy.mil. Analyze & define your education goals & interests. Review your previous college work and plan your future education and training. Select courses and programs that meet your needs. Enter a suitable college, university, or technical training school. Obtain college credit for Navy training & experience. Review and discuss your degree plan. The Tuition Assistance Workshop is now offered online through the Navy College Program web-site, www.navycollege.navy.mil. To locate the Online TA Workshop, select Navy College Programs and then Tuition Assistance. The Workshop is listed as Navy TA Online Training for Active Duty. This training must be completed annually in order to use Tuition Assistance. The Joint Services Transcript (JST) is an electronic transcript available for each active duty servicemember, approved by American Council on Education (ACE), to validate military occupational experience and training. 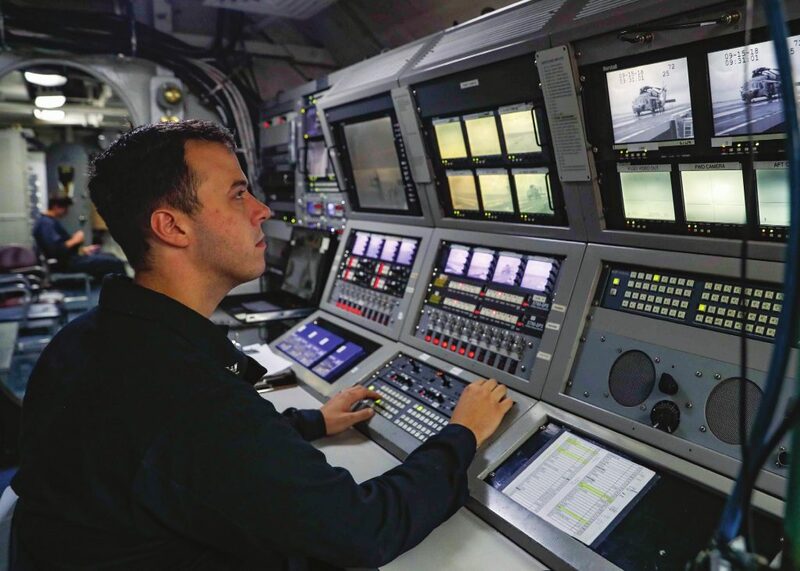 The JST lists occupations held, Navy schools completed with ACE recommended credit, Marine correspondence courses, college level exams completed, and other learning experiences. Sailors may download an unofficial JST by logging onto the Navy College Program web-site, www.navycollege.navy.mil. An official JST is required for college enrollment and may be ordered through the Navy College Office or by using the JST Official Transcript request form. 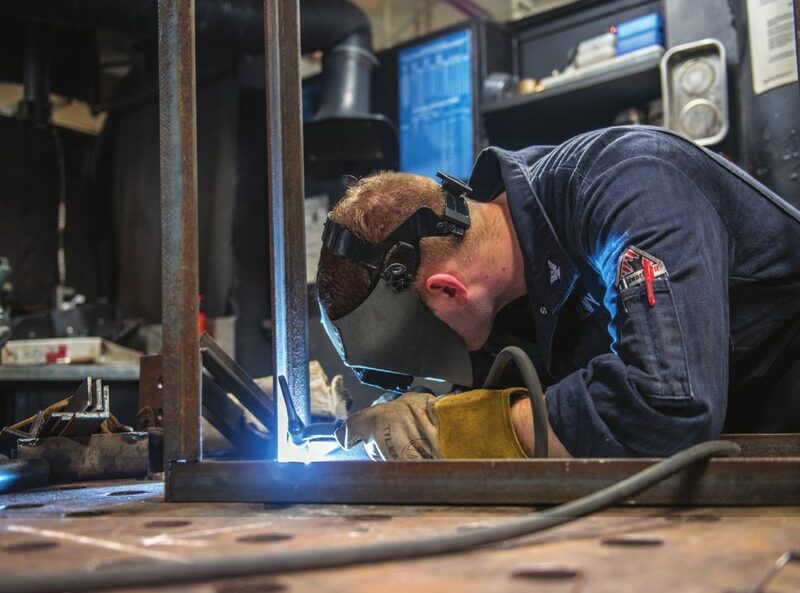 The United Services Military Apprenticeship Program (USMAP) allows active duty personnel to receive recognition for skills learned through one’s rate. 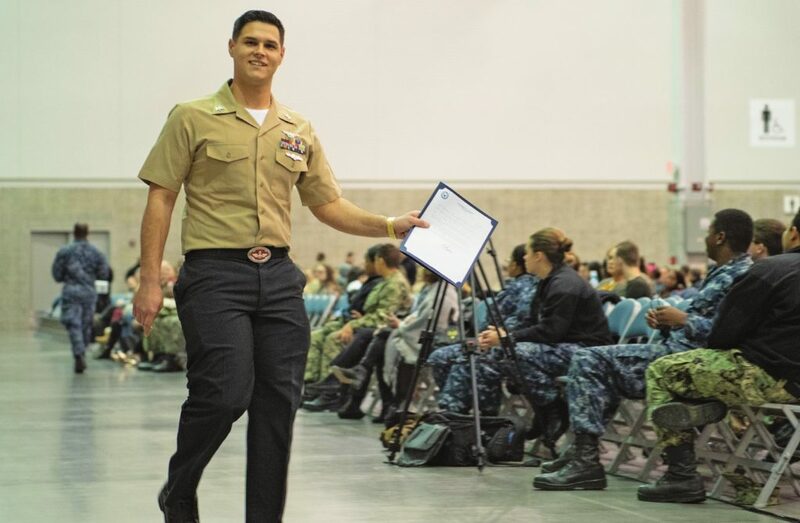 The Department of the Navy and the U.S. Department of Labor award a Certificate of Completion of Apprenticeship jointly to service members who complete the requirements. More information is available at their website: https://usmap.cnet.navy.mil. The NCPACE Program gives Sailors the opportunity to take college coursework while on sea duty assignments. NCPACE provides both academic skills and college (undergraduate and graduate) courses. All courses are offered by colleges and universities that are regionally accredited. NCPACE courses including academic skills courses are provided to Sailors tuition free. Academic Skills instructional materials are provided at no cost; however, Sailors taking college-level courses must pay for textbooks and other required instructional materials. Courses are taught via traditional classroom instruction and via distance learning instruction. All undergraduate courses are from institutions that are members of Servicemembers Opportunity College-Navy (SOCNAV), ensuring Sailors the opportunity to transfer credits and complete degrees. NCPACE is a command sponsored program coordinated through the Navy College Office. Interested Sailors should check with their command for upcoming information sessions and course start dates. The Post 9/11 GI Bill offers financial aid to eligible active duty personnel and veterans. Any individuals who served on active duty after 10 September 2001 may be eligible for this benefit. For eligibility criteria and entitlement, contact the U. S. Department of Veterans Affairs at 1-888-GIBILL-1 (1-888-442-4551) or visit their website at www.gibill.va.gov. In an effort to make degrees more accessible to Sailors, the Navy has developed partnerships with colleges and universities providing rating relevant associates and baccalaureate degrees through distance learning, while maximizing credit from military ratings and services schools. For a current list of NCPDLP institutions, visit your servicing Navy College Office or visit the Navy College Program website at www.navycollege.navy.mil. From the Navy College Program home page, click on “Education Resources” and then click on “Distance Learning Partnerships”. Defense Activity for Non-Traditional Education Support (DANTES) The mission of DANTES is to support the voluntary education functions of the Office of the Secretary of Defense, including all the military services and the Reserve components. DANTES provides nontraditional education programs to include Examination Programs, Independent Study, External Degree Programs, Nationally Accredited Distance Learning Programs, Servicemembers Opportunity Colleges, and Military Evaluations. 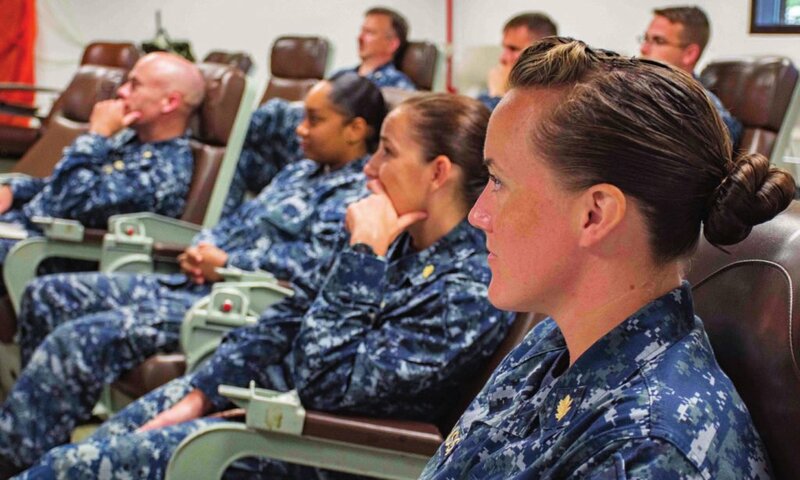 DANTES testing services are available to military personnel through Navy College Offices. 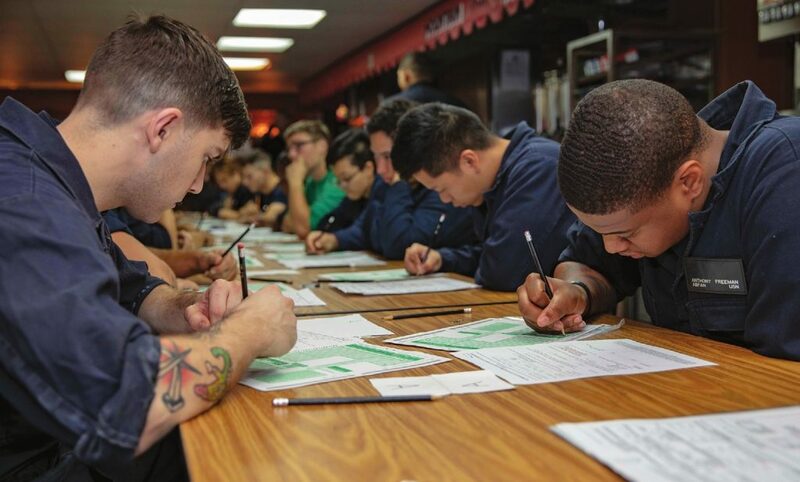 Sailors may take the ACT and the SAT on a funded basis the first time they test. Those retesting will need to pay the exam fee. For more information or to schedule an exam, call the Navy College Office Norfolk testing center at (757) 444-7453/7454. College Level Examination Program (CLEP), and DANTES Subject Standardized Tests (DSST) are now computerized and given at the Saint Leo University in Building U-40. Tests are available by appointment. To schedule an exam, contact Saint Leo University at (757) 489-0969. Sample test materials can be found online at Navy Knowledge Online under Learning. Active duty and active duty reserve personnel may take each test free the first time. Those needing to retest will need to pay the exam fee. Examinees must have a valid military ID card AND another picture ID with a signature. Both the GRE General and GMAT are computer based exams and are administered out in the Hampton Roads community. The examinee is responsible for scheduling and paying the test fee up front for these exams. DANTES offers a one-time reimbursement of the GRE General and GMAT test fees. The reimbursement forms can be found on the DANTES home page at www.dantes.doded.mil under Examinations, select GMAT or GRE to access the appropriate form. Forms must be completed and returned for reimbursement within 60 days of testing. Are you interested in taking the Defense Language Aptitude Battery (DLAB), Defense Language Proficiency Test (DLPT), or Oral Proficiency Interview (OPI) for possible college credit, a language NEC or special pay? SOC is a network of more than 1,800 colleges and universities whose policies and programs are designed to help meet the higher education needs of service members. SOC has developed a degree program known as SOCNAV, which encompasses a group of associate and baccalaureate degree networks designed to meet the special needs of naval personnel. For more information, go to the Navy College Program website at www.navycollege.navy.mil. Found on the left side, click on “Educational Resources,” the select “SOCNAV” from the drop down menu.